A Walking Advertisement for Manner-Man! I received the cutest note from a Mom. 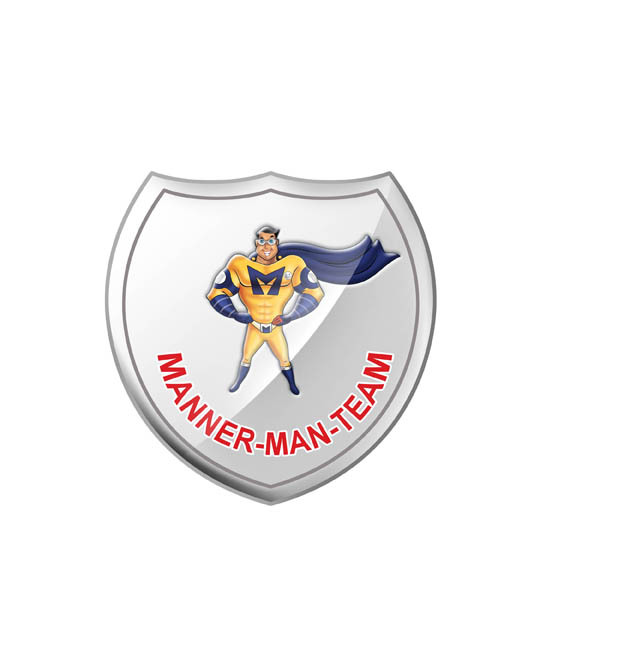 As mentioned in the back of my Manner-Man book, a child can request a Manner-Man badge. I love this comment! 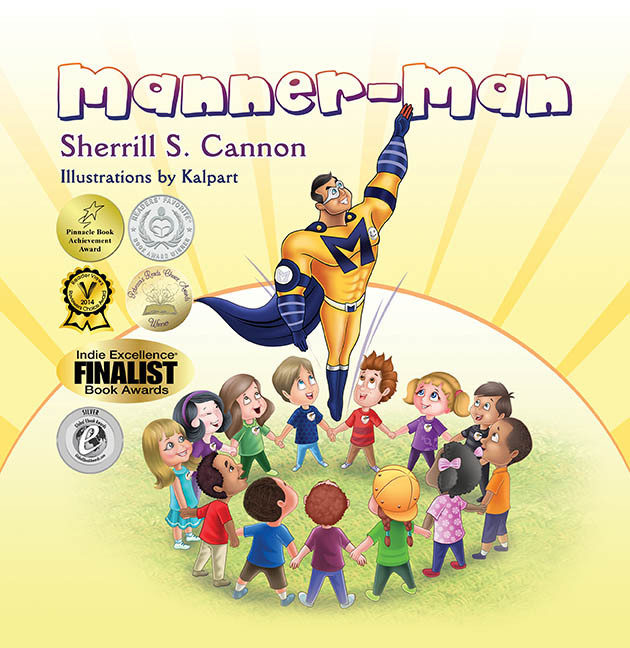 This entry was posted in Uncategorized and tagged anti-bullying, Award winning, Children's book, Manner-Man, manners, Superhero on January 30, 2015 by Sherrill S. Cannon. Thank you Angela for the nice note and FaceBook post!! “Just wanted to share some books that may make good Valentine’s and Easter gifts for your kids… Check out the titles in the pic. This entry was posted in Award-Winning, Behavior, Book Reading, Bullying, Children's Picturebook, Consideration for Others, Manners, sherrill s. Cannon, Uncategorized on January 29, 2015 by Sherrill S. Cannon. 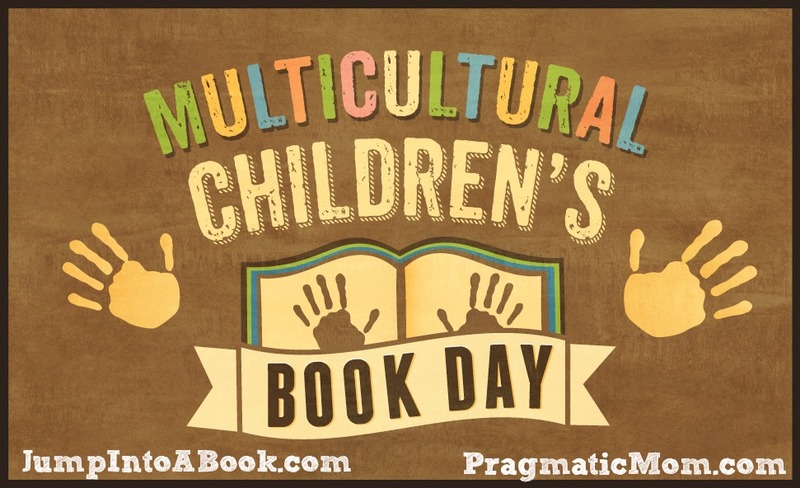 “We are excited to be taking part in Multicultural Children’s Book Day 2015. We were asked to review a multicultural book and create an accompanied activity to help get families engaged in reading. We were extremely fortunate to be given a copy of My Fingerpaint Masterpiece by Sherrill S. Cannon. My Fingerpaint Masterpiece is told from the point of view of the main character who is never portrayed. You get glimpses of their hand and a shadow of a face. It is left up to the reader whether the child is a girl or a boy and what nationality they are. This is a deliberate and ties into the books main theme of perception and perspective. Sherrill wanted her illustrations to appeal to all children and they have been illustrated from a multi-cultural perspective. The story is a creative rhyming tale about how a child’s unfinished art project becomes an award winning painting on display. The book raises issues about abstract art and how beauty is in the eye of the beholder. We loved the cleverness of the illustrations. You see the book in a new light when you hold the book upside down. There are also many hidden objects that can be seen when the book is the wrong way round. To accompany the book we decided to create our own fingerprint masterpiece. 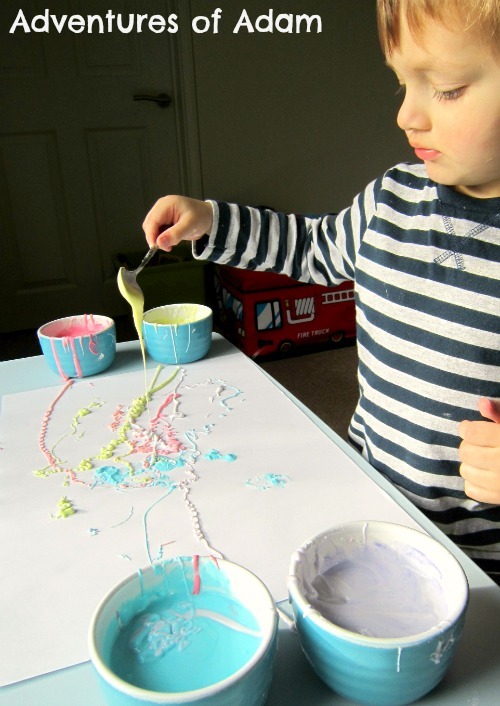 We made homemade edible finger paint following the recipe on Imagination Tree. Our Wilton Food Colouring made beautifully colour finger paint. 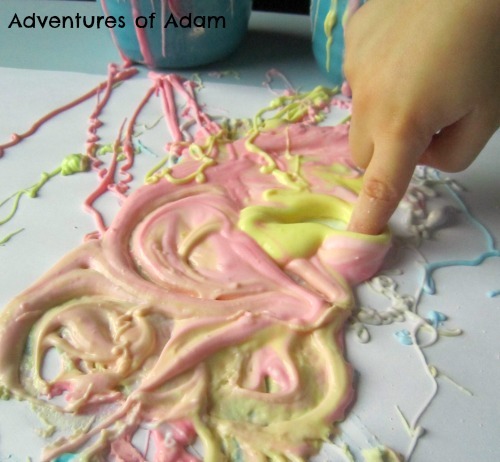 Adam enjoyed mixing the food colouring into the cornflour, however, he did not want to touch the paint. Cornflour was obviously a step too far and too messy for him. So instead he used a teaspoon to spoon the paint onto the paper. After 20 minutes of exploring colour mixing and how to create small blobs and big blobs of paint onto the paper Adam actually did a small amount of fingerpainting. 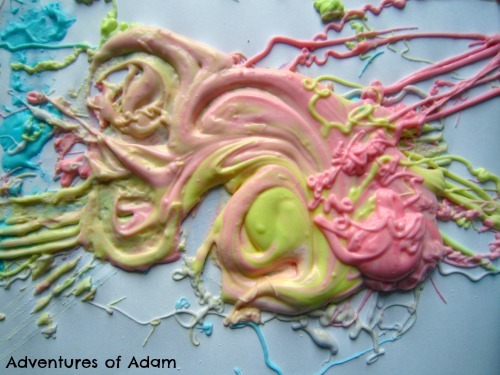 Adam’s masterpiece may not be featuring in any art gallery soon but he thoroughly enjoyed the process of creating his fingerpaint masterpiece. Sherrill S. Cannon is a former teacher, mother of four and a grandmother of ten, who is also an Award-Winning Best-Selling Author. 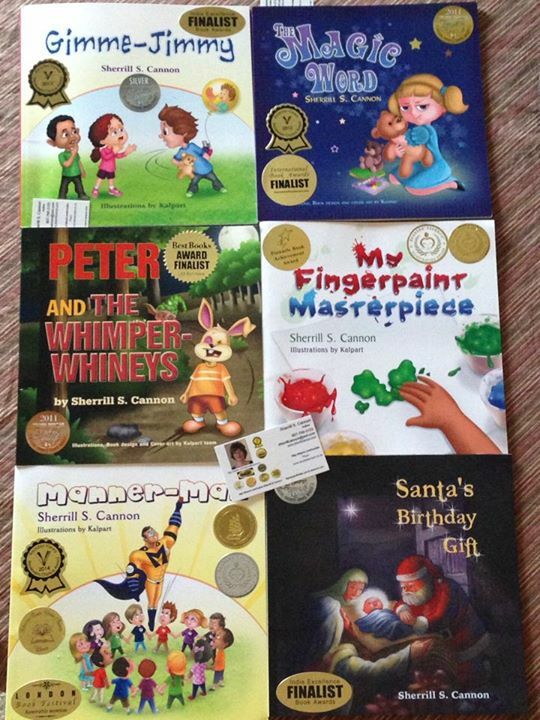 In less than five years, her books My Fingerpaint Masterpiece, Manner-Man, Gimme-Jimmy, The Magic Word, Peter and the Whimper-Whineys, and Santa’s Birthday Gift have received twenty-eight 2011-14 National and International awards. Most of her books try to teach something, like good manners and consideration for others. All of her books are also part of a fundraiser for both imbullyfree.org and CureJM Foundation. Sherrill is also the author of seven published and internationally performed plays for elementary school children. She is a resident of New Hope, PA and travels with her husband of 54 years throughout North America in their RV, sharing her books along the way. Why not take a look at Sherrill’s other work on her website and blog. You can also follow Sherrill on Facebook, Twitter and Pinterest. 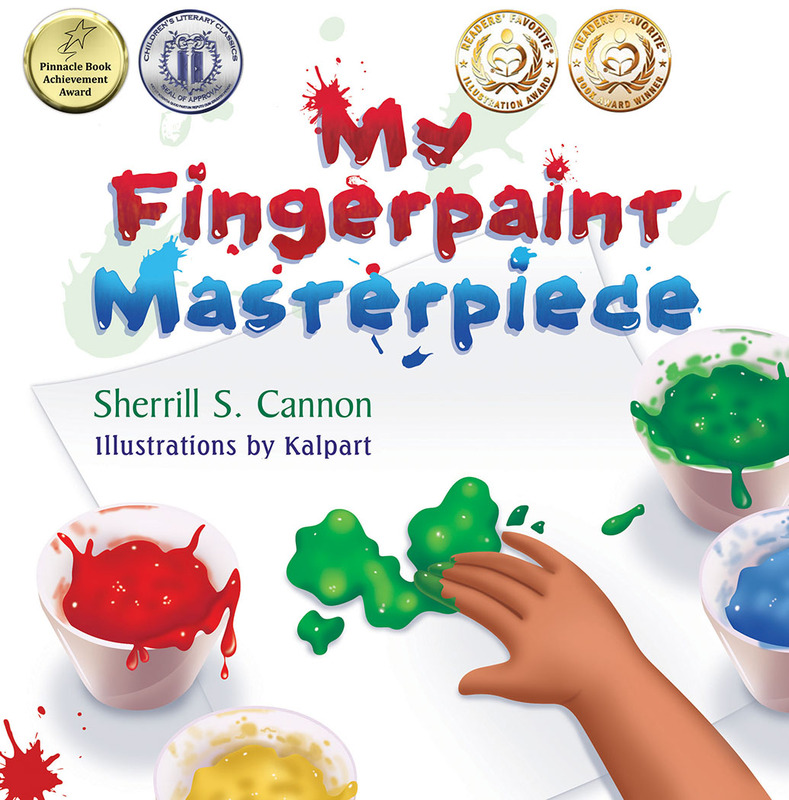 This entry was posted in Uncategorized and tagged art, Award winning, chidlren's picturebooks, fingerpaint, self-esteem, Sherrill S. Cannon on January 28, 2015 by Sherrill S. Cannon. I am so proud that My Fingerpaint Masterpiece is included in the 2015 Multicultural Book Day, and I am happy to be one of the Author Sponsors! There are many awesome books included in this celebration of children everywhere… so please take a look!!! All children should be able to identify with children’s books, and diversity is important… Please let me know whether you think the child is a girl or a boy… the current voting percentage is 50/50!! This entry was posted in Uncategorized and tagged art, Award winning, chidlren's picturebooks, fingerpaint, self-esteem, Sherrill S. Cannon, uncategorized on January 27, 2015 by Sherrill S. Cannon. Thanks to Andy Mulberry, author of middle-grade fiction, for this wonderful interview! One print copy and one eBook of My Fingerpaint Masterpiece will be part of her Giveaway. I asked: Please recommend a children’s book for me to read. I asked: What is your favorite dessert? Sherrill answered: A single piece of Dove Dark Chocolate with Almonds…every night! I asked: If you were an animal, what would you be? I’m very happy with being myself, but I can see myself as a dog… I tend to like people, and love to give…and especially enjoy hugging. I asked: Do you have any strange writing habits? Sherrill answered: Many people ask me if I always write in rhyme, and that happens to be what I consider a “strange writing habit” since I often think in rhyme as well. Of course only my children’s stories are in rhyme – but it’s definitely a different process. One has to have something to say, and some point to make, but it all has to be conveyed not only by using rhyming words, but also by putting them into a specific meter. This involves having the accents of the words fit into a pattern – which I usually refer to as the “music of the words”. It’s not enough to have words rhyme at the end of a line – and this is where many authors of children’s books have problems. I asked: What are you working on now? What is your next project? Sherrill answered: I have just gone into illustration for my seventh children’s book, to be released in April 2015 (hopefully.) The title is Teacher’s Warning. It differs a little from my previous books, although it still attempts to teach values to children disguised as a fun story. This one emphasizes the need to be a good listener! It is fun to be working with my illustrator, Kalpart, again. Since this talented artistic team has illustrated all my books, I am able to request repeat cameo appearances from previous characters, as well as covers from my other books, within the pages (which my fans seem to love to find!) It also includes the names of those who have contributed through the fundraisers…so if you hurry, you might get your name included in Teacher’s Warning also! Thank you so much, Sherrill, for being a guest on my blog today and generously offering to give away your book! I very much enjoyed reading it and had fun trying to figure out if the artist is a boy or girl! Reader tip: read the “Special Note from Sherrill” at the end of the book, for some advice at looking at the “masterpiece”! This entry was posted in Art, Award-Winning, Children's Picturebook, Fingerpaint, Self esteem, sherrill s. Cannon, Uncategorized and tagged Andy Mulberry, Award winning, Children's book on January 26, 2015 by Sherrill S. Cannon. I’m pleased to inform you that your book has been selected as a finalist for BookBzz.com’s Prize Writer Competition and will now go into the public vote which will run 1st February to 28th February 2015 before the announcement of the winners and the awarding of prizes on 5th March 2015. This entry was posted in Art, Award-Winning, Children's Picturebook, Fingerpaint, Self esteem, sherrill s. Cannon, Uncategorized on January 22, 2015 by Sherrill S. Cannon. Cute note from a Grandmother! Thanks so much for sharing. I love to get stories like this one! Stay tuned for another story in 2015… “Teacher’s Warning”! This entry was posted in Award-Winning, Behavior, Children's Picturebook, Consideration for Others, Kid Fans, sherrill s. Cannon, Superhero, Uncategorized on January 9, 2015 by Sherrill S. Cannon.